ADF Power Tuning (formally Comsys AB) have been designing and manufacturing harmonic filters since 2001. The harmonic filters are intended for industrial applications yet are designed to be simple to integrate with customers equipment and easy to use. 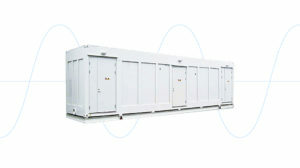 The filters are modular and sized to support power ranging from 50A up to several thousand amps. The ADF P300 active filter was a landmark product, combining low entry cost and unprecedented scalability in an attractive package. Later products like the ADF P200 and the ADF P700 widened the number of feasible applications. The ADF P100 active filter gives you everything in a compact format. Although compact and cost-effective, the ADF P100 features the same excellent cutting-edge performance as its bigger ADF P300 family member. Like its bigger brother, the ADF P100 is ultra-efficient and easy to use. However the wall mounted format gives a more cost-effective packaging and allows the use of ADF technology in applications the ADF P300 cannot access. The ADF P100 has a nominal compensation current of 70 to 130 A RMS (three wire, 480V), 100 A RMS (four wire, 415V), and 90 A RMS (three wire, 690V). It is available in the voltage ranges 208 – 690 V RMS nominal, four wire up to 415 V RMS. The tall and narrow design allows the ADF P100 to be used in applications where space is at a premium. The ADF P200 is one of the world’s fastest active filters. It can eliminate harmonic problems up to the 100th harmonic and works well in even very resonant grids. It is also excellent at mitigating inter-harmonics, resonances, and high frequency disturbances. 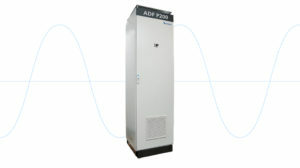 The ADF P200 is available in a single, floor-standing cubicle design. 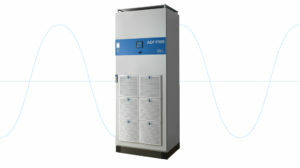 The ADF P200 can be configured using the built-in WUI (Web User Interface). No software needs to be installed on your computer to perform commissioning. All that is needed is a computer with an Ethernet port and an Ethernet cable. This unit is an industrial standard cost-efficient modular active filter. Built from the start with a modular approach, the ADF P300 will grow with the needs of the customer. When more power is needed, modules can be added. When even more power is needed, cabinets can be added. The ADF P300 Family of filters is suitable for harmonics, dynamic reactive compensation including inductive generation, load balancing and flicker compensation up to several MVA. The operating voltage is either up to 480V or up to 690V. The standard ADF P300 is air-cooled. This unit is a water cooled version of the ADF P300. 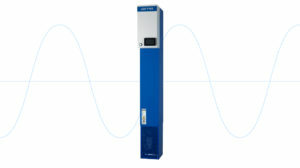 It is available in voltages up to 690V. The water cooled version is especially suitable for demanding applications in harsh environments. The ADF P700 STATCOM is a high power, utility grade, medium voltage STATCOM for heavy industrial loads. It is ideal for dynamic reactive compensation, flicker mitigation, and harmonic suppression in applications such as electric arc furnaces (EAFs), cranes, hoists and wind farms. In such industries with such a high power demand, there is a concurrent need for a powerful power quality solution. That’s when you need the STATCOM.ADF P700 STATCOM systems are highly modular and designed for ease of maintenance and redundancy. They are available between 1 MVA and 10 MVA compensation power. Several units can be operated in parallel to achieve higher power levels. Under certain circumstances, the system can be configured as a back-to-back converter for effective isolation of two electrical networks in sensitive applications such as semiconductor fabrication and in wind power installations to maintain stable power flow and line voltage.